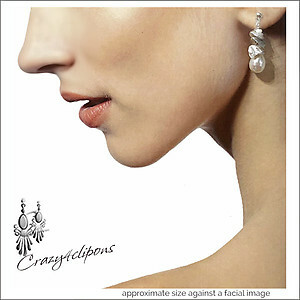 Product Description: Cluster of Pearls Earrings - Available as Clips or Pierced. 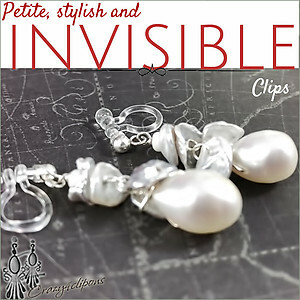 Features: Beautiful keshi pearls all hand-wrapped in Sterling Silver. 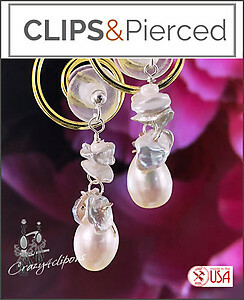 We are pairing them with light invisible clips, with plated front backs and resin backs, which "dis-appear" after they are on giving the impression of post pierced earrings.